Drive more traffic to your web site, build your brand and reputation. Make it more accessible and easy to find on the internet! 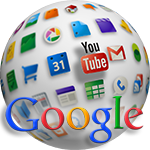 Please click here to contact us and get help with internet marketting of your web site and brand! Why do you need SEO ? SEO is search engine optimization techniques. Right now there is about 550 000 000 active web sites on the internet! Your web site is one of them... There is a lot of potencial clients for you out there but it is not easy for them to find your web site, products and servics. An active SEO and internet marketting strategy plan is the best investment you can do for your business.